Atlanta just got a little hotter. 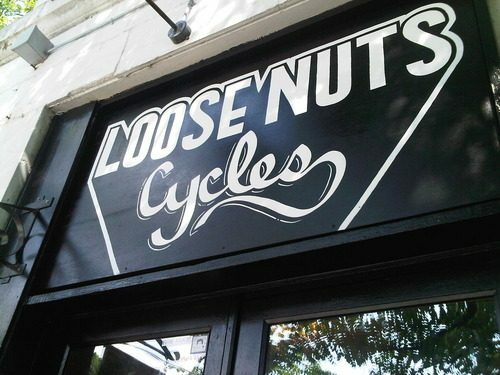 Loose Nuts Cycles is a full service bicycle shop located in Atlanta, GA with a focus on vintage road and track as well as fixed gear freestyle. Unlike most shops, when you say you want to put BMX cranks on your track bike, they won’t laugh at you and at the same time, they’ll tune up your Nuovo Record-equipped Pinarello. The guys are having a soft opening this Thursday in celebration of their new storefront at 452 Cherokee Ave “A” in Atlanta. Wanna stay up to date on what’s going on with the guys? Stay linked up with their Blog!